Red cabbage can be cooked in various ways. One style is to cook it the traditional way, sweet-sour which is a typical side dish for beef rolls (Rouladen) or Goulash, or any meat dish that contains a creamy gravy. 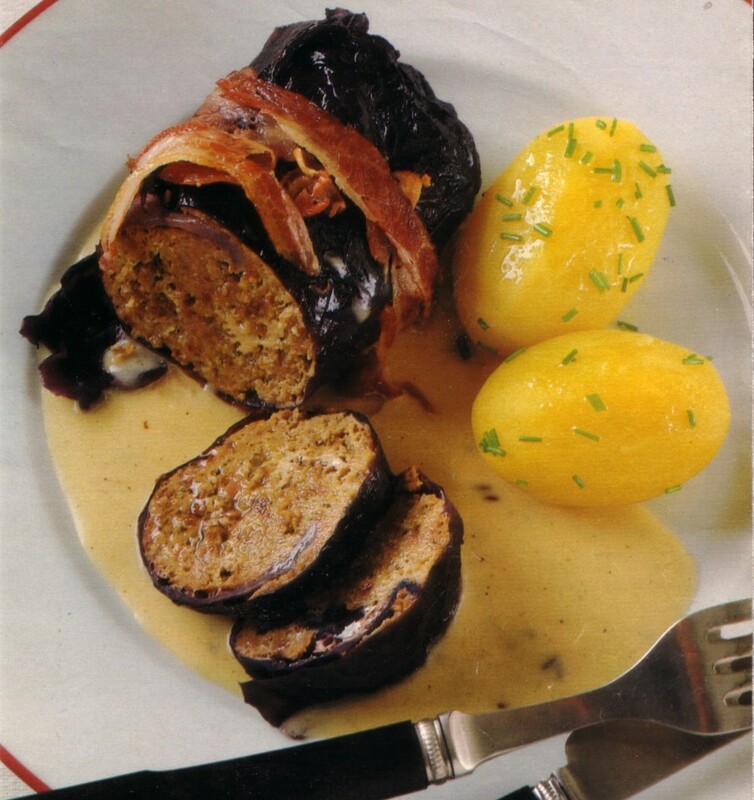 Another variation for red cabbage are "red cabbage rolls". You may know about the white cabbage rolls, it is the same way to make such rolls with red cabbage. Serve them with boiled potatoes, your favorite pasta or even with rice. Happy Cooking! - Cut off the hard parts of the cabbage leaves (middle part). - Soak bread in cold water, squeeze thoroughly to remove all water. - Peel onions, chop them fine. - Mix beef with onions, mustard, salt and pepper very well (knead the best with hands). - Place about 1-2 tbsp of the beef mix on each cabbage leave. - Roll each leave and use toothpicks or kitchen yarn to fix so it won't fall apart..
- Heat clarified butter in a big enough skillet. - Fry rolls evenly on all sides. - Add caraway seeds and broth. - Boil for 40-50 minutes covered on low heat. - When rolls are done take them out of the skillet and keep them warm (cover with aluminum foil or in the oven). - Add cream to the stock and bring it to a boil; add starch and bring it again to a brisk boil. - Serve rolls with gravy, and if you like fry some stripes of bacon which will be placed on top of the rolls.